Kvasir was a Norse god, created by all of the other gods and goddesses at the conclusion of the Aesir-Vanir War. After a long period of fighting, they put aside their differences and focused on their common goals. To end the war, the deities sealed their peace treaty by coming together to produce an alcoholic drink in a custom common among ancient Indo-Europeans. Everyone would chew berries and spit out the mixture of saliva and berries into a communal vat. This mixture would then ferment and the group would later drink the alcoholic beverage. 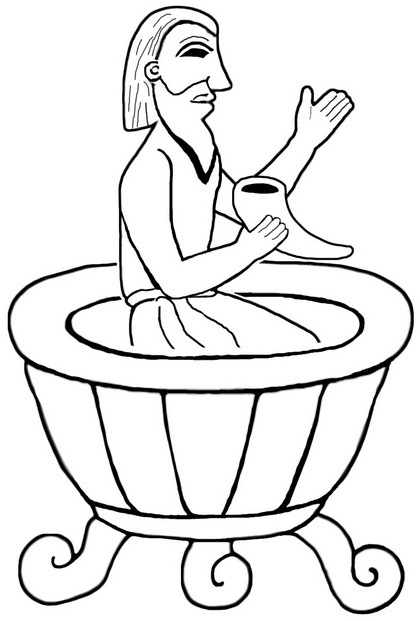 In this particular instance, the fermented liquid became the god Kvasir, and having been formed from all of the gods, he possessed all of their knowledge. Kvasir is considered the most knowledgeable among the Norse pantheon. There was no question which his combined knowledge could not answer. Instead of keeping this knowledge to himself or sharing it only among his peers, the other gods, he instead went to the world of humans and travelled among them, teaching and spreading knowledge.